Triumphant Ryze is one of the rarest skins in the game, it is also the coolest Ryze skin by far! This skin is the most polished Ryze skin, and it really shines compared to his other skins, This skin will really make you stand out, due to its rarity. As of now, we only have tournaments on the North America server. If you play EUW, EUNE, OCE or any of the other servers, you can still get it, let me explain you how. You simply transfer your account from for example EUW to NA, this costs 2600 RP (15euros) When you are on NA, we participate in the tournament for you, and win you the reward. When you have gotten the rewards, you transfer back to the server you came from. It costs 2600 RP, keep in mind you will get 1000 free rp with the skin. You do not lose your ranked rating, friendlist, or anything, your account with be 100% the SAME when you return back, and you bring the Triumphant Ryze skin with you. Totaly it will cost you 5200 RP, which is 25 euros worth of RP. Keep in mind that you get 1000 when you recive the skin, so transfer is actually worth it! You will get Triumphant Ryze skin and 1000 RP (Worth roughly 10 Euros) added directly to your account. We will need your accountname and password for roughly a day to play 1-3 required games to qualify you to get theese rewards. 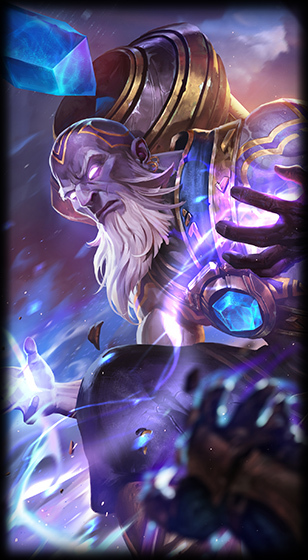 For thoose who do not know, the Triumphant Ryze is given to winners of tournaments hosted by the public, we got the tournaments, and can get you the reward! Once the 3 games is done, you will recive the skin and RP in roughly 1-2 days after we played the games! Once you have paid, please send me a mail to [email protected] or use the support system on the bottomright of the website. In the mail, please include your Ingame name, login name and password. NOTE: it may take up to 72 hours before we have played the games, this is because it needs to fit with our tournament scheudle. We will kee you posted. 1-2 days later you will recive the skin ingame, and the job is done!